Everything You Need for the Best Summer ’18! Summer is the best season! The temps are high, days long and fun-filled, and everyone just has an amazing renewed energy to celebrate the new season! 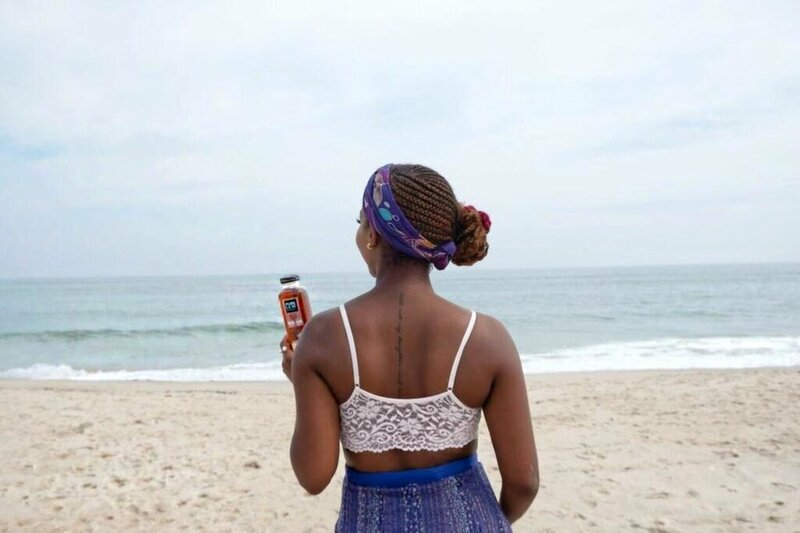 In collaboration with BabbleBoxx, I’m sharing a few of the essentials you need for the best summer ever! 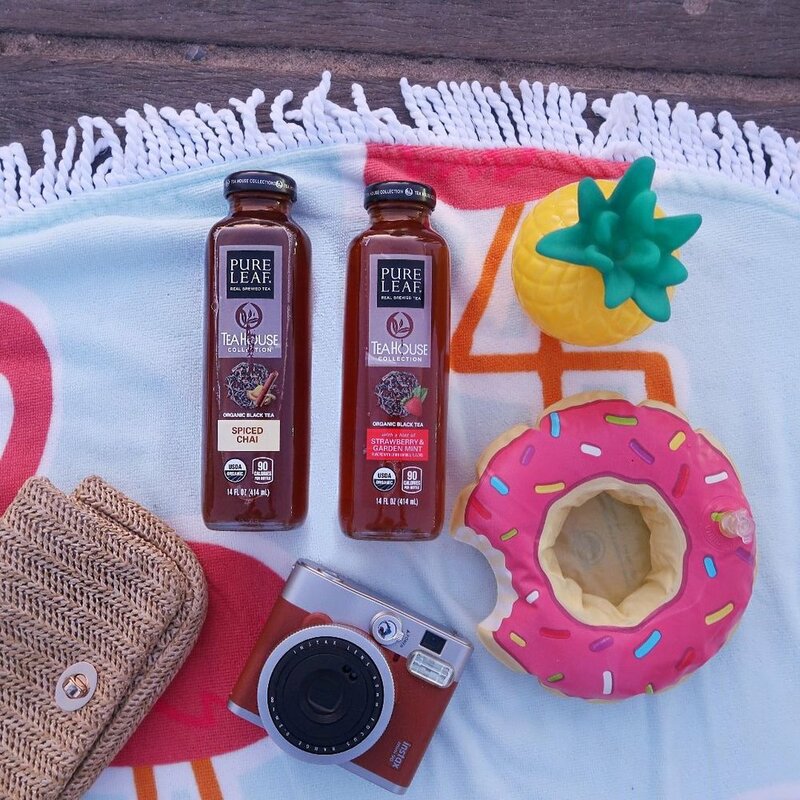 Summer is the season for iced tea, so of course we had to get a few bottles of Pure Leaf Tea House Collection! They are actually one of my go to iced tea brands so I was so happy to see this in my box. The Strawberry and Garden Mint is super refreshing and the Spiced Chai is perfectly balanced with the perfect amount of spice. This is a great drink to buy when you are out and about on a hot summer day and need a pick me up! And if you love at home mixology, I think either of these organic iced teas would go great in a bourbon based cocktail! On the beauty and skincare front, they included the Beauty Water and Sheer Renewal Cream by Colleen Rothschild. 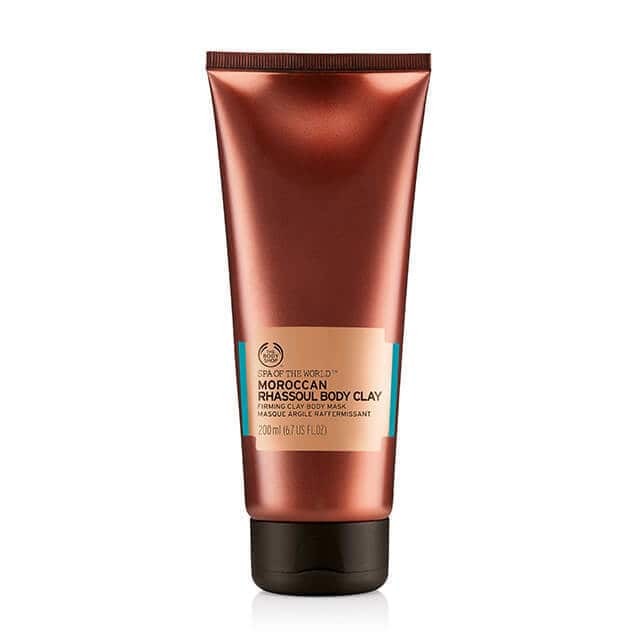 I love a facial spritz for refreshing your skin on the fly and this will come in super handy after long days in the sun when your skin starts to look a hot mess. The team is also giving you guys 20% off all regular priced items with code BOXX20, so get to shopping! And this wasn't in the box because it would melt, but they sent coupons to get a free box of My/Mo Mochi ice cream. Have you ever had Mochi? It's ice cream wrapped up in a sweet rice dough, so it's pillowy and soft on the outside and full of rich creamy ice cream on the inside. It comes in 8 flavors, and I tried the mango! If you like mochi ice cream, check out their site for where to get yours! 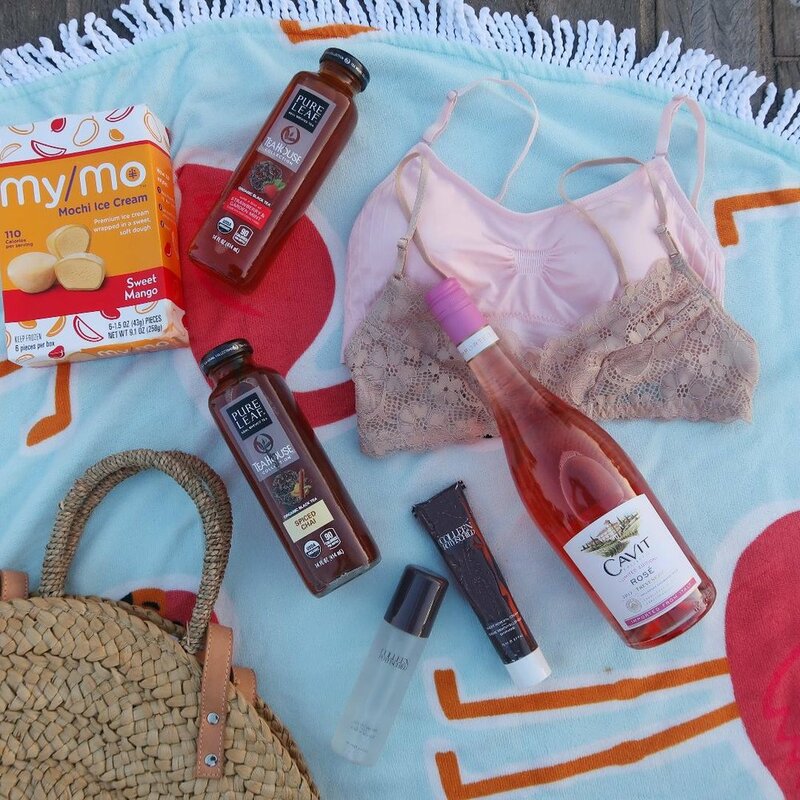 And since no summer box would be complete without some rosé, they threw in 2 bottles of Cavit! I love a nice chilled glass, and my boyfriend figured out how to make the most amazing frosé, so I'll be trying to copy his technique. Let me know what you guys think of the products and if you buy any with those codes make sure to share your pics with me! Well it was only 3 days, but I felt like I was on this juice cleanse forever! I decided to try one to jump start my weight loss before an upcoming vacation and shed some of the weight I put on from one too many end of summer BBQs. Instead of doing a traditional review, I decided to answer some FAQ's about juice cleansing and compare 2 different versions. I did Blueprint a little over a year ago and loved it, but decided to give Jus by Julie a go. Check out my thoughts on each and which one is the winner in my book! Pretty streamlined! It took awhile to decide which cleanse option was best for me, and for both companies I picked the option that had a promo code or free shipping, because that can get pricey because of the weight. The Jus by Julie promo was supposed to include a pack of 12 Booster Shots that I was excited to try, but those did not arrive with my order and I'm still waiting for the replacement from customer service. So those won't be included in the cleanse, but they are not a requirement for the 3-day program. I also recommend you do a prep day or 2 before starting the cleanse, and a "ease out" day or 2 when it ends. Clean up your diet, give up the meat, dairy, sugar, alcohol, and anything processed to get your body ready, and transition out of it when the cleanse is over. I loved all the Blueprint Juices! I did the OG Cleanse and each juice was fresh, tasty and the order you drank them in flowed together nicely. On the Jus by Julie cleanse, I was pretty disappointed by a lot of the flavors. A lot of them included chia seeds which I never tried and now I know I hate. Plus they are more smoothies than juice, so are thicker but more pulpy than creamy, which wasn't pleasant. How hungry did you get? Not very! Of course I missed solid food and socializing over a meal, but I was never actually hungry. Blueprint definitely kept me satiated, and I expected the Jus by Julie juices to be heartier, because they are a thicker, smoothie style and have more fiber. However I was noticeably hungrier, but that was probably because there were a couple of juices I didn't finish just because of the taste/texture. At the end of my 3 day Blueprint cleanse I lost 4 pounds. At the end of Jus by Julie, 4.8 pounds. 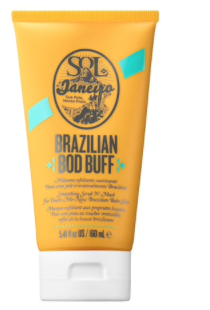 Some reviews of both programs mentioned feeling extra refreshed/energized, having clearer skin and other effects of cleansing, but I didn't really notice much change other than the weight. I do maintain a pretty healthy lifestyle overall, so that is probably why I didn't notice a huge overall impact. 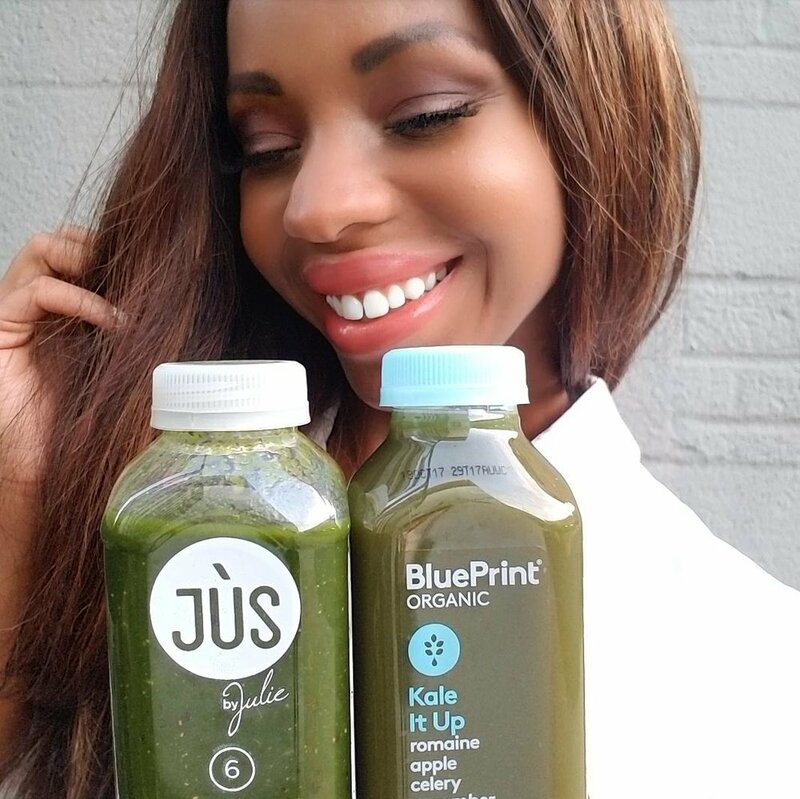 Even though I lost more weight on Jus by Julie, and it was the more affordable option, I still give the winning vote to Blueprint! Jus by Julie lost major points from me because of the taste and texture. Some people may love the thicker smoothie formulas, but that was a negative for me. I really only liked the Sweet Spin and Spicy Lemonade and found Spicy Pomegranate and Choco-Nana tolerable. The others I tried ranged from meh (Chia Berry, Matcha Chia & Raw Green Protein) to vile (X-treme Greens & PB & Jus). I was also a little disappointed with the customer service because my booster shots were missing, and I was told it would take a week for them to be delivered. However I've emailed them twice to confirm that they have shipped or get updated timing and I have not gotten a reply. UPDATE: I did receive the booster shots today, a week after the cleanse. Customer service took a while to respond but they did send the replacements. On Blueprint there was not single juice I did not enjoy. They have some new flavors that were not in my cleanse last year, but I have tried all of the individually except the new Blueberry Cashew Boom and love them all. So there you have it! If you are thinking about trying a cleanse and have more questions let me know in the comments!